THE NOSTRADAMNZ Releasing 1st Album + Full MV Uploaded | VKH Press – J-Rock & Visual Kei Coverage Worldwide! 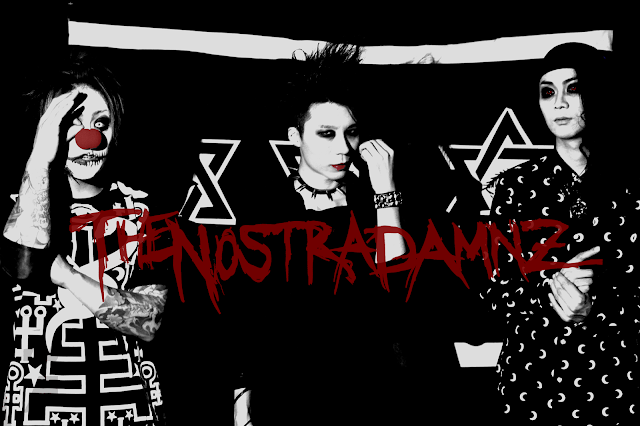 We have great news for all fans of THE NOSTRADAMNZ! On May 15th their first full album It’s a small world’s end will be released! It comes with eleven tracks. To promote their CD they also uploaded the full music video of their song さよならロックスター (sayonara rockstar), so check it out below! Unfortunately, they didn't reveal further album details yet, so stay tuned for more information! Besides, if you couldn't get their sold out Tokyo e.p., then don't worry because there is going to be a second press version! The exact release date will be announced soon, so please keep on checking their official twitter account for updates!